My commitment to you is to pour strength, encouragement and hope into the core of your dream – for in your dream lays the latent power to change the world. For I have learned that if we but shift our thinking and take a first step in the right direction, any dream is possible. Yes your dream is possible! I was once locked in the stingy confines of a small thinking world but with strength, encouragement and hope I am flying: soaring free. As a young girl I had the advantage of a great education – I was always encouraged to read, write, learn, solve mathematical problems and excel in the school environment. I am grateful to my parents for giving me this gift of an immense love for learning. However, one thing that was lacking in my childhood was that absence of emotional love and connection – I felt for many years that I was unloved, unwanted; that I was some type of nuisance and that I needed to stay silent because what I had to say or the ideas I were thinking did not matter or were not going to be of good to anyone. I was very shy, reserved and timid as a girl; always too afraid to try something new or to make new friends – we were never allowed to play with or have friends around, to go on school camps and excursions, and we rarely had family members visit us. Growing up as a young woman was not easy; I always seemed at a disadvantage and marginalised: I constantly felt I was on the outside looking in and that I was not free. 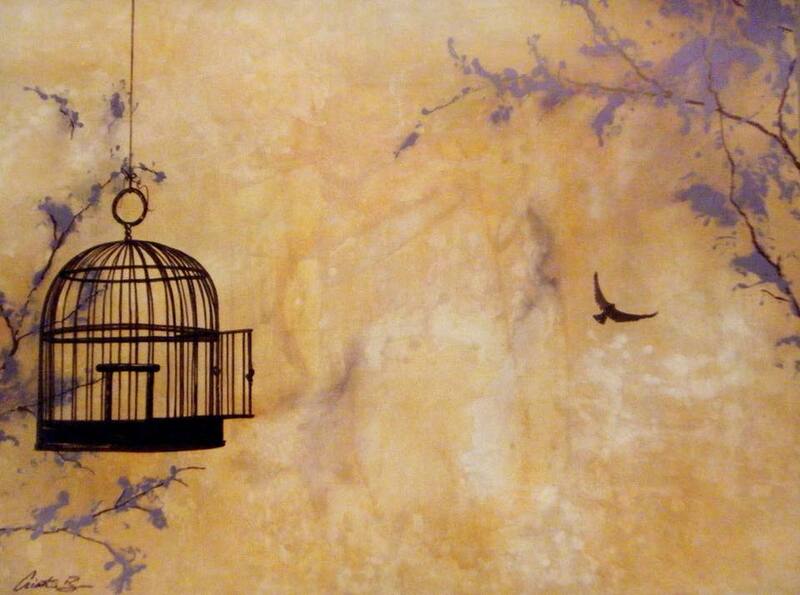 I felt like a bird trapped inside of a cage and I longed to get out of the cage and fly. I wasn’t overly confident and I didn’t know how to interact well with groups of people. As a teenager I spiralled into an emotional rollercoaster of anorexia, depression and suicide attempts. In my late teens friends encouraged me with their faith journey and I started to find that personal faith path for myself; this strengthened me and helped me to make healthier choices with my life. My experiences as a girl and young woman shaped me into a woman with a strong desire to be a spokeswoman for others in situations of injustice – to be a voice for girls and women who do not have a voice. My love for education led me to a teaching career and then into the fields of law and entrepreneurship. Teaching has empowered me to find my voice, the law has empowered me to speak into situations of injustice and being a business woman has enabled me to put on those wings and finally fly free: out of the cage and into the fullness and joy of what life has to offer. We all have a journey – that journey can be filled with ups and downs, but it is the lessons within the journey that brings together the pieces of the dream that lies dormant on the inside of each one of us. Many people choose to allow that dream to remain hidden or undiscovered. I want my journey to inspire you: that as we live out our dreams as reality we will find it opens doors and opportunities that many of us thought were locked. IMAGINE IF ALL OUR DREAMS COULD FLY! IMAGINE IF ALL THE POTENTIAL WITHIN EVERY PERSON YOUNG AND OLD WAS RELEASED! CAN YOU PICTURE HOW THAT WOULD CHANGE OUR WORLD? YOUR BUSINESS DREAM CAN FLY. I stand with you today to champion you in your dream. My ONE purpose is this: to tap on your cage – to bind a broken wing, to breath in fresh courage, to nudge you in to flight. And I ask from you just ONE thing: an empty cage. I want to see you flying and then for you to go and do the same for others – to tap on their cage, so that like you, their dream too can fly. Have Questions? Fill out the form below and I will be in touch within the next 48 hours.